The exporter is compatible with Revit Architecture 2009, Revit Structure 2009, and Revit MEP 2009. "How can we be expected to teach children to learn how to read if they can't even fit inside the building?" Though fashion model, Derek Zoolander, was not sophisticated enough to know that he was looking at a model of a school - not the actual school - that won't be a problem for the rest of us. Imagine holding a to-scale model of your building in progress. As part of the export process, you can replace windows with holes so you can peek inside. This is a great way to experience your design before it is real. Alternatively this is the easiest way to create the ultimate Barbie dream house for that little girl with upscale taste in real estate. :-) Check it out. This is a cool feature, but I wanted to warn people. 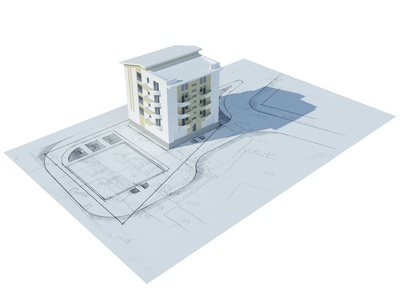 Model objects are drawn to scale in Revit. A web that is 3/8" thick is really that size. Therefore adjustments may need to be made to the model and/or the 3D printer to embellish objects to be thicker, so that they can support themselves and other objects. Printing a model with paper thin volumes won't live long in the real, gravity bearing world. Sharing technologies for proof of concept evaluation based on your feedback is alive in the lab.